Kershaw Knives is probably more well known for their wide range of pocketknives and sporting knives. However, they also produce a range of outdoor gear including the Kershaw Ration, an eating multi-tool that includes both a spoon and a fork. First and foremost, the Kershaw Ration is not a ‘spork’. 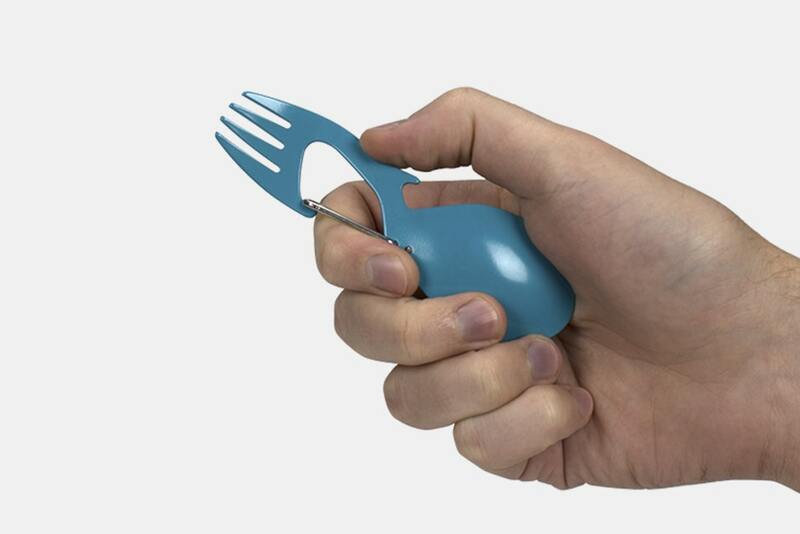 The proper definition of a spork is a utensil that has a spoon end with short tines that lets you stab your food like a fork. 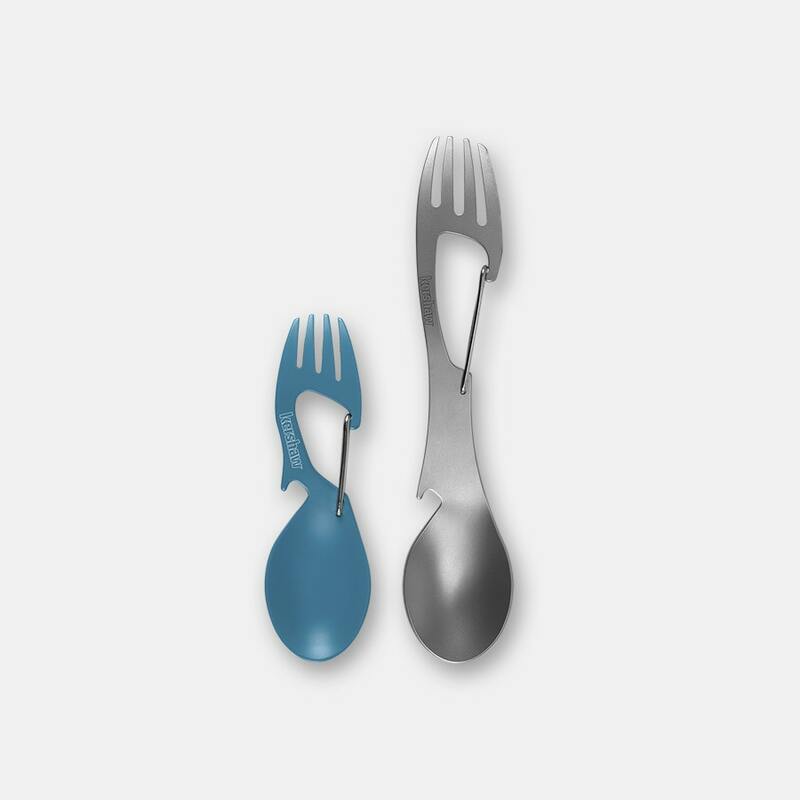 However, you end up with a barely functioning fork as oftentimes, the tines are just too short to be of any actual use. The Kershaw Ration on the other hand gives you a full-sized spoon and a full-sized fork in a single utensil. Full sized means fully functioning. And that is not all. Kershaw has thrown in a carabiner and a bottle opener as well. 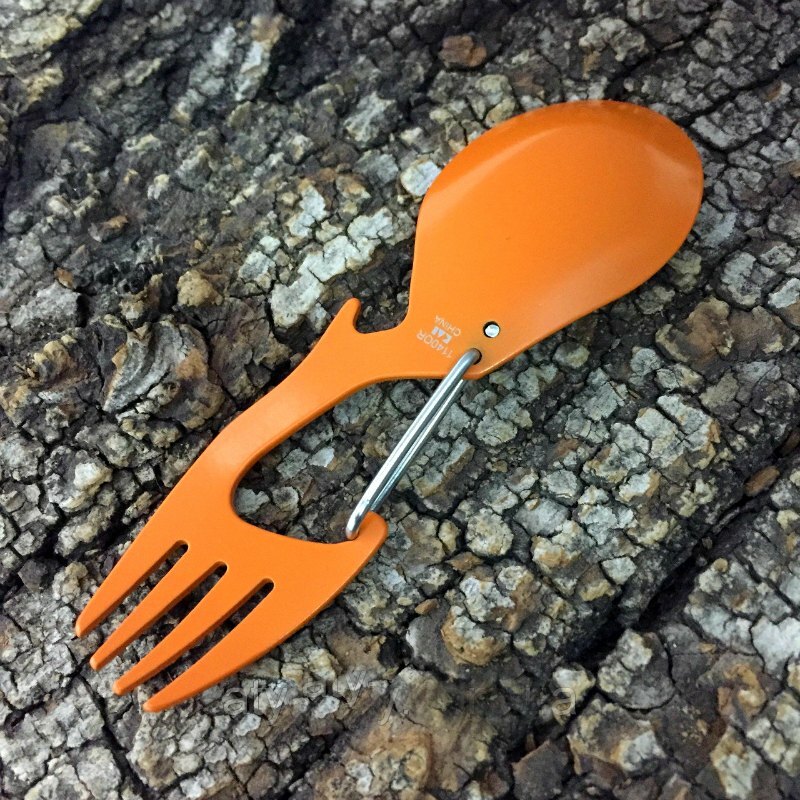 The bottle opener means one less tool you have to pack into your camping backpack. While the carabiner means that you can hook it to your belt or bag strap so that it is easily accessible and less chances of you losing it. The Kershaw Ration is made of high grade and bead blasted stainless steel. Besides the bare steel version, there is also a bright green version. Both versions are stain, scratch and chip resistant. Besides for use in outdoors, the Kershaw Ration is also an ideal eating tool for all kinds of meals on-the-go including at work or school. Just throw one into your purse, backpack, messenger bag, duffel, briefcase, gym bag or lunch box. It is the better and greener alternative to disposable plastic cutlery. For those with bigger hands, the Kershaw Ration is also available as a longer version known as the Kershaw Ration XL. Besides the bigger size, it is similar and has all the features of its smaller sibling.